Introducing a new game I’m working on called Fist of Liberty! Fist of Liberty is a tabletop roleplaying game about normal people attempting to overthrow the oppressive state. Inspired by such dystopian classics such as 1984 and Brave New World, and films like eTHX-1138, Brazil, Max Headroom, Idiocracy, Equilibrium, and The Hunger Games. It is a one shot game designed to be played in 4-6 hours. Every game of Fist of Liberty is different as it starts with a fast cooperative world building and character building session! The game mechanics for Fist of Liberty are inspired by the excellent game Soth by Steve Hickey and also by Apocalypse World. If you haven’t played either I highly recommend both! 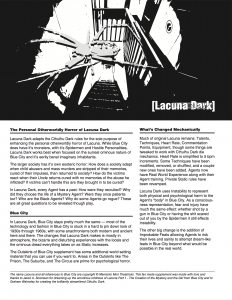 With the Kickstarter release of Graham Walmsley’s Cthulhu Dark, I’ve finally gotten around to finalizing my Lacuna Dark game hack, for playing a more horror focused version of Jared Sorensen’s wondrous oddball game Lacuna Part 1 – The Creation of the Mystery and the Girl from Blue City! 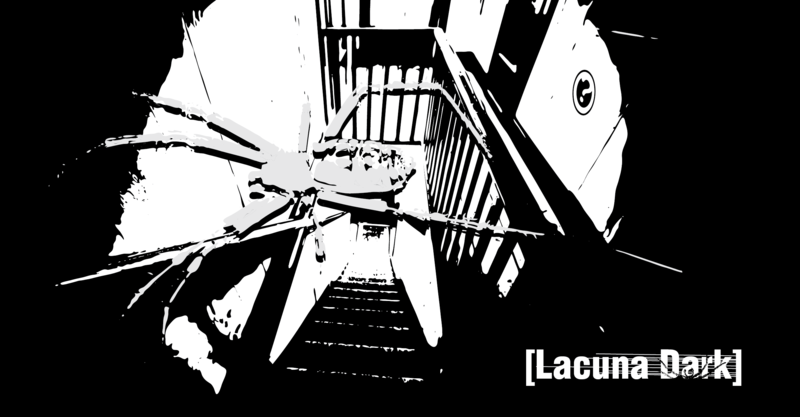 Lacuna Dark adapts the Cthulhu Dark rules for the sole purpose of enhancing the personal otherworldly horror of Lacuna. While Blue City does have it’s monsters, with it’s Spidermen and Hostile Personalities, Lacuna Dark works best when focused on the surreal ominous nature of Blue City and it’s eerily banal imaginary inhabitants. And so here it is for all of your downloading pleasure Lacuna Dark [PDF]! Lacuna Dark uses a variant of the Cthulhu Dark mechanics with the best parts of Lacuna (Heart Rate, Agent Techniques, etc.). It includes no real setting info so requires Lacuna to play — also the Lacuna game is amazing so get it here! I highly recommend you support the Cthulhu Dark Kickstarter! Last year, I jumped on the Kickstarter for the Heckadeck by Travis Nichols. I was sold by the ridiculous of it all and the simple yet wonderful illustrations. I’ve broken them out a few times but never really got to play a full game with them until yesterday. Of course with all the weird cards — like Beasts, Zeros, The Crone, and Octogons — the first question is what the heck do you play with the Heckadeck? My answer to this is Heckapoker! Heckapoker is plays like normal straight poker with each player dealt a hand of five cards. All of the relatively normal cards (even of the extra suits) are act like normal poker hand cards. If you have a hand with a weird card, like Beasts, or Zeros, or the Crone, and you are the first to play such a card you get to come up with the rule for how that card works. That rule then persists throughout the rest of that game — of course these new game rules vanish as soon as the cards are put away so that each time Heckapoker is plays it is a different game. Arrow cards automatically can fit between any split cards to create a straight (2,3,arrow,8,9 is a straight), if the arrow color matches as well as the other cards suits match then it can work as a straight flush. The Crone automatically invalidates everyone’s hand; all bets in the pool are kept until next hand sweetening the next hand’s pot. Octagons can transform the numbers and letters on cards by reducing them to their individual lines and reforming them. For instance, an A can become a 4 or vice versa. As you can see, sometimes rules may interfere with people’s poker hands and thus require knowing who plays their hand first, play order is by whomever placed the last highest bid and then goes clockwise around the table. Of course while you could play for money the traditional wager when playing Heckapoker — a tradition I started as of yesterday — is to wager for words. For instance, the first player may bid “Shoe” and the next player may agree to wager the word “Shoe” and then call or see that bid and raise it with the word “Burrito”, the third player may then call or raise or fold before adding words to the pot to avoid loosing the words. The person who wins gets to keep using the words that were bid! The loser has to lost the words and must avoid using any words they lost for the remainder of the day! A devilish player may choose to raise with the word “Cards” or “Raise” forcing players to restrict their vocabulary or use alternate words when talking. Any words that were already bid in a game cannot be bid again in order to avoid overlap with players who already lost said word. Of course, a player could fold right out of the gate every time before putting their words in the pot, never risking loosing any words, thus in a sense “winning” but where is the fun in that?! 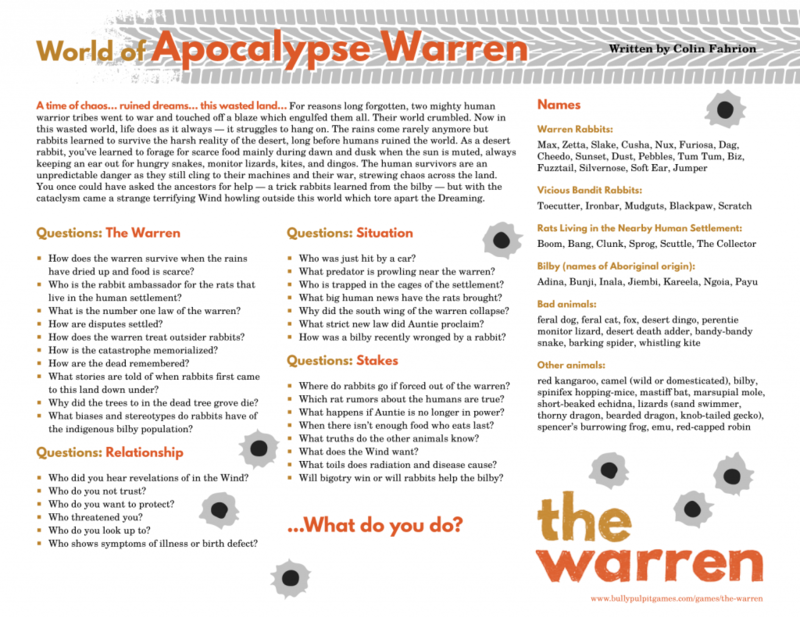 I present Apocalypse Warren, a world playset that brings the apocalypse back into The Warren! A time of chaos… ruined dreams… this wasted land… For reasons long forgotten, two mighty human warrior tribes went to war and touched off a blaze which engulfed them all. Their world crumbled. Now in this wasted world, life does as it always — it struggles to hang on. The rains come rarely anymore but rabbits learned to survive the harsh reality of the desert, long before humans ruined the world. As a desert rabbit, you’ve learned to forage for scarce food mainly during dawn and dusk when the sun is muted, always keeping an ear out for hungry snakes, monitor lizards, kites, and dingos. The human survivors are an unpredictable danger as they still cling to their machines and their war, strewing chaos across the land. You once could have asked the ancestors for help — a trick rabbits learned from the bilby — but with the cataclysm came a strange terrifying Wind howling outside this world which tore apart the Dreaming. 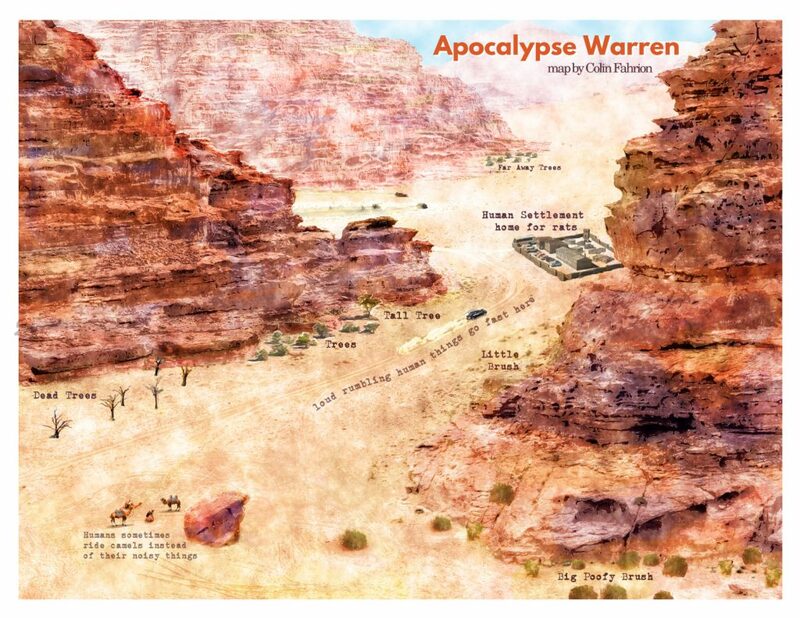 I created this Warren World playset while home sick in bed watching Watership Down and all the Mad Max movies. After many revisions, I then ran it at Big Bad Con 2016 for some wonderfully brave rabbits. It’s now ready for any and all rabbits who want to try and find a way to survive in this post-apocalyptic wasted land! 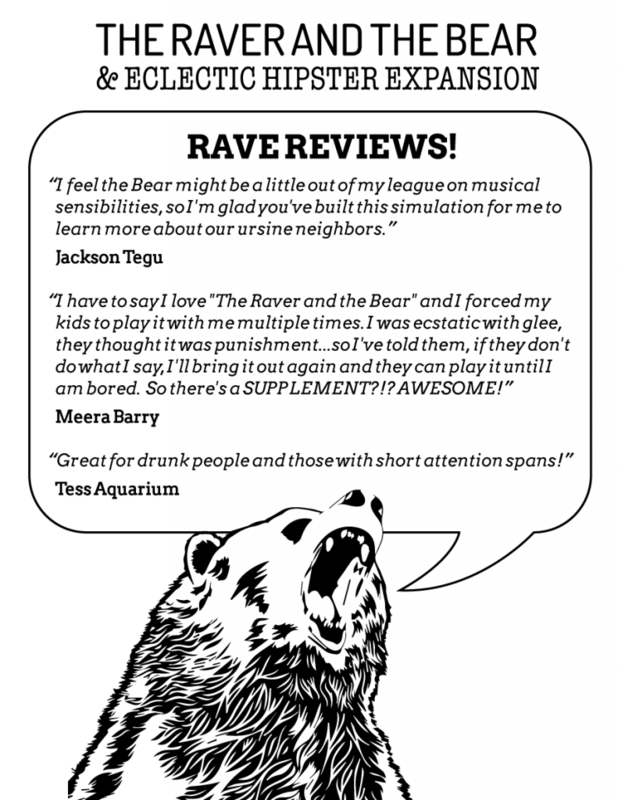 The Raver and the Bear Reviewed by a Real Bear! The game THE RAVER AND THE BEAR has been reviewed by a real bear! Rob (the squirrel) said I would love it because he knew how much I liked to rave, which I assume involves ravens. I have never met a raven, but I was immediately drawn to the “Bear” part of the game’s title. Had someone made a game specifically for bears? I was excited to find out. It seems from the review that it may be more a hit with aggressive squirrels rather than actual bears. Maybe I should design a game for squirrels next. I tried very hard to imitate the sounds on my squares, but they were difficult for me to pronounce and I was distracted by a knowingly evil glance from a trickster rodent. Before I could get a grasp on the game, Rob (the squirrel) quickly mauled me and declared himself the victor. He asked if I wanted to play again, but I was hesitant to say the least. The game certainly seemed interesting and fun, but like most organized events, it was easily ruined by an aggressive squirrel. I do not know what a DJ is, and a squirrel pretending to be a bear attacked me. If you’d like to check out the game for yourself you can download the THE RAVER AND THE BEAR (Print & Play PDF) for free! The game has had a number of positive reviews so don’t just listen to a single bear’s review, try it for yourself! I was inspired and made a micro rpg game for David Schirbun’s awesome #200WordRPG challenge called THE RAVER AND THE BEAR! You should check out the 200 Word RPG Challenge site as there are some amazing entries. I especially love LoveInt and Holding On and KillByNumbers but I’ve honestly barely scratched the surface of all the entries. UPDATE!!! NEW RAVER AND THE BEAR – ECLECTIC HIPSTER EXPANSION with rules for advanced play with the dangerous finicky hipster bear. THE RAVER AND THE BEAR in action at Big Bad Con! Once the DJ starts playing, does the bear’s first check start from anywhere in particular or wherever the bear decides? The Bear’s first check starts as soon as the second album is put on. After the DJ gets mauled the first time, should the bear start from the original start place? When the DJ get’s mauled they just put on another record — either one they played before or a new one. There is no “start place” for the Bear’s music order preferences as it’s a continuous circle. Let’s say the Bear’s preferences are B, A, C, E, D — then the DJ can “win” by playing in a row consecutively B, A, C, E, D or A, C, E, D, B or C, E, D, B, A or E, D, B, A, C or D, B, A, C, E. Probably better way of thinking about it is the DJ needs to make the bear happy 4 times in a row by playing albums in the right order. FREE Print & Play game! FREE Print & Play! 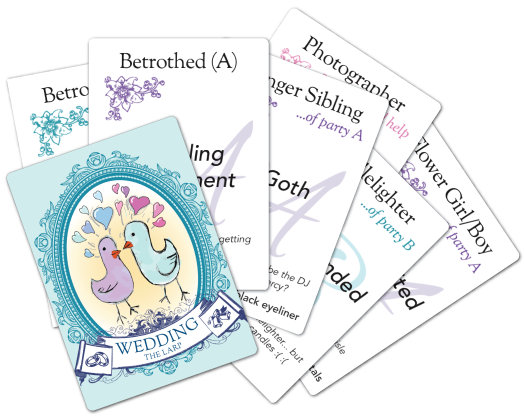 Or buy a set of cards to be shipped direct to you!